No Congressional hearing has examined the secret expansion of targeted drone killings, but the senate has a chance to grill Obama's nominee for CIA director today. Targeted, extrajudicial killings outside theaters of war—95 percent of which are carried out with armed drones—have become an increasing and disturbing staple of US national security policy over the past decade. George W. Bush ordered fifty non-battlefield targeted killings, more than any other president, and President Obama has already more than septupled that number. Moreover, Obama has expanded the internal legal justification for these strikes to include American citizens as victims, and is reportedly creating an institutional framework for at least another decade of targeted killings. Despite this dramatic and unprecedented development—which has happened almost entirely in secret, with the administration refusing to even acknowledge the existence of drone strikes until very recently—there hasn’t been one congressional hearing into these killings. Not one. Already, the looming hearing forced the administration to provide members of the committee with Office of Legal Counsel memos that attempt to justify the legal rationale behind targeted killings, which followed the leak to NBC News of a non-classified Department of Justice white paper on the same topic. But these revelations have created more questions than answers. Here is a non-exhaustive list of basic questions senators should require Brennan to answer today. To invert the recent parlance about the DoJ memo, this is a floor, not a ceiling—just some basic questions the public deserves answers to. (1) First of all, why not release the OLC memos to the public? Showing them to a handful of senators is a step in the right direction, but Obama boldly released the infamous Bush torture memos at the start of his administration, and there’s just no compelling argument why these memos are any different. Let the people know how their government is justifying extrajudicial killings—especially since any American can is eligible as a target. Also, do any other memos exist, and will they be released? (2) Why do “informed, high-level official(s) of the United States” get sole determination over whether the government can kill an American? First of all, what’s the framework for deciding who this is? It doesn’t explicitly mention the president—which advisers have this power? Where is the cut-off? Moreover, why is there no judicial review before the government denies a citizen due process and kills him? This is a truly radical concept. (3) When should the Authorization for Use of Military Force expire? One answer to the prior question is that Congress explicitly gave the president authorization to combat Al Qaeda and “associate forces” when it passed the AUMF in 2001, and so Obama (and future presidents) can order the deaths of anyone who fits that description, American or otherwise, without judicial review. That may be true—so when should the AUMF be repealed? At what point is it fair to say that Al Qaeda has been defeated, given that it’s provably been greatly diminished in size and is without its leader, Osama bin Laden? How many “associate forces” are we going to keep including in that definition? Brennan would likely punt this question by saying that’s up to Congress, which is true, but as the guy tasked with carrying out the killings it’s certainly fair to ask for his input. (4) Relatedly, what about the “filling the bucket” problem? This was the terminology of former White House chief of staff Bill Daley. He meant, at what point is enough enough? If we keep adding people to the “kill list,” or the “disposition matrix” as they call it, while the power of Al Qaeda is simultaneously being diminished, aren’t we just killing less and less important people, because we can? In the words of a former counterterrorism official to The Washington Post, “Is the person currently Number 4 as good as the Number 4 seven years ago? Probably not.” Can Brennan at least acknowledge that? (5) Is the administration open to ending “signature strikes” and if so, can it at least acknowledge the inherent problems with it? The centrist Center on Foreign Relations has called on the administration to end “signature strikes,” which are when instead of specifically targeting Al Qaeda leaders, unknown and anonymous people who fit certain criteria are targeted. (One official told The New York Times that there’s an inside joke that “three guys doing jumping jacks,” is a terrorist training camp.) A key fact of our drone warfare policy is that a vast majority of those killed are not in Al Qaeda or the Taliban, but “low-level militants”—and who sometimes aren’t even involved in any plots against the United States, but rather against allies. (7) Can Brennan pledge that lethal drones will never be fully autonomous? Drones are already unmanned, and can respond to certain stimuli without human direction. Also, the government is developing certain pre-set criteria that make people eligible for “signature strikes.” You can see where this is going. Government officials have said anonymously that ongoing drone research and development does not include drones that can make lethal decisions without human input, but can Brennan explicitly confirm that, on the record and under oath? Can he rule it out as something he would pursue as CIA director? (8) Can Brennan admit that the administration is vastly undercounting civilian casualties to drone strikes? By virtually every external measure, the civilian casualties from drone strikes are, by many orders of magnitude, much higher than the administration admits. (They only recently admitted there were any). The public knows it, journalists know it, foreign governments know it. 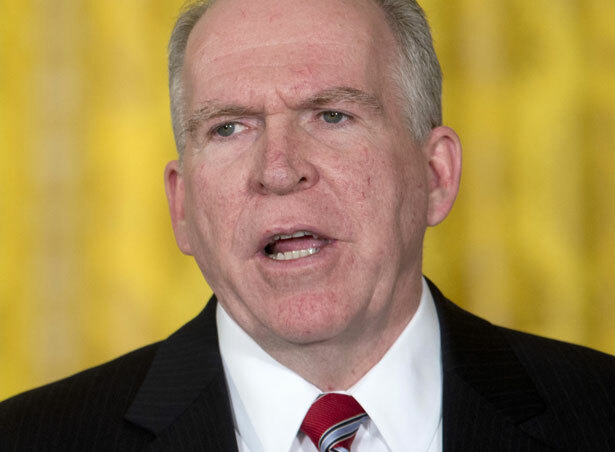 Why can’t Brennan just be honest about it? This is far from an exhaustive list, but just some of the fundamental questions that need to be answered. There are other areas that need to be explored too, like Brennan’s earlier support for “enhanced interrogation” during the Bush administration, which he has since disavowed. Brennan’s initial written answers to some committee questions paint the picture of a man unwilling to be forthcoming about most of this, but senators have a responsibility to press him. The drones now patrolling our borders are indicative of the emerging surveillance state here at home, Todd Miller writes.